Kevin Gao is currently a senior attending Los Altos High School, dual enrolled at Foothill College. He serves as President of EqOpTech. His favorite subjects are statistics and computer science. Kevin also has a passion for chess and piano, and is a member of GYP, a nonprofit piano organization that fund raises money for third world countries, as well as being the VP of his school’s chess club. In his free time, he enjoys coding, building robots, and watching hockey. Eric is a junior at Saratoga High school, an avid musician who plays piano and clarinet as well as a sub 20 speed cuber. He is also a part of Robotics team, participating in FRC robotics competition. Ever since middle school, he has been very curious when it comes to tech and would find taking apart and putting it back together very amusing. He especially enjoys repairing and overhauling laptops as well as applying his skills to contribute to underserved community. He is also fluent in Spanish, attending Escondido Elementary in Spanish Immersion from kindergarten to 5th grade. Trevor's favorite volunteer aspect of EqOpTech is the Computer-in-a-Box refurbishing of old laptops for donation to underserved school children. He is also involved in the Computer-in-a-Box project that refurbishes old laptops. His interests include reading, solving rubric cubes and playing video games. He likes to play volleyball, swim and do Cross Country. Nathaniel Latif is a junior at Los Altos High School and aspiring coder. He enjoys the challenge of refurbishing laptops. Currently taking AP Computer Science, Nathaniel is a long-time devoted member of Computer Engineers of the Next Generation, a club dedicated towards teaching programming to underprivileged students. With his experience in coding and teaching kids, he loves to pass on his knowledge, and hopes that those he teaches can enjoy the joy of coding as well. Cedric Chan is a freshman at Los Altos High School and a boy scout from Troop 31 of Los Altos. He is interested in fields such as computer science and engineering, as well as law and business. With his previous exposure to a Boy Scout computer project, Cedric looks forward to using his skills to contribute to the community in a meaningful way. Rishon Shah, junior at Mountain View High School, is an electrical and mechanical team captain of MVHS Robotics team. He believes in using technology to enhance teaching and learning and loves the idea of computer reuse. He is passionate about enabling and engaging low-income students with Internet access and empowering them to learn, grow and change their social structure. Rishon started a Botball club for underprivileged kids in an elementary school in San Jose, volunteered and worked at several technology and education related organizations as math tutor, robotic summer camp counselor, Botball team mentor. 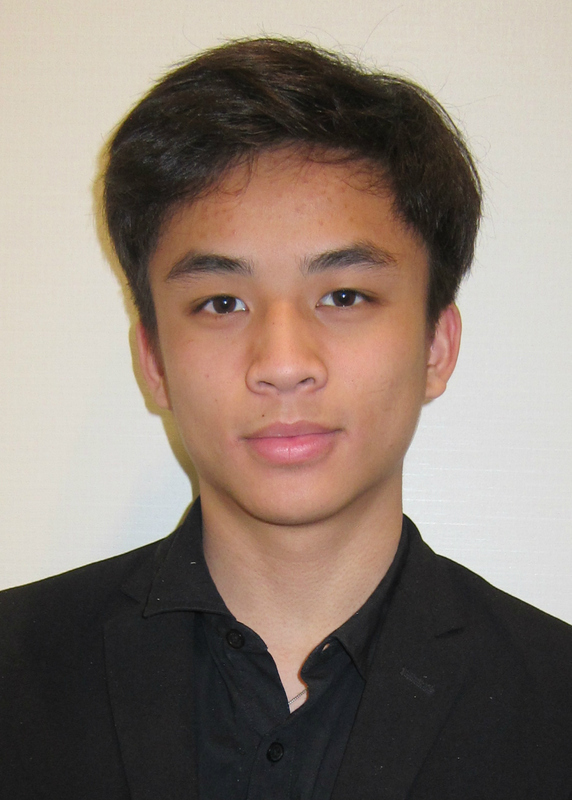 Terence Lee is a freshman at University of Illinois Urbana-Champaign. Inspired by his Eagle Scout Project to recycle, refurbish and redeploy unwanted computers, he founded EqOpTech to enable free, equal opportunity access to technology, resources and workshops to help educate underserved students. To further engage more students to learn on a global scale, Terence would like to explore automation using machine learning and artificial intelligence to engineer a computer system to teach students in an engaging, interactive, and adaptive way. Randall Lowe serves as EqOpTech's Director of Technology, responsible for all things tech. He is a sophomore at UC Santa Cruz. Randall is our technology guru, our go-to person for computer tech issues. He is especially dedicated to helping disadvantaged kids to excel in STEM education, supporting both the laptop refurbishing as well as leading and teaching the STEM workshop, Hour of Code and Khan Academy mentoring programs at Sunday Friends. Aditi Talati is a junior at American High School. She enjoys math, debate, and computer science. In her spare time she can often be found reading anything she can get her hands on. Aditi has a passion for helping the community. As well as being a volunteer for EqOpTech, she helps students with their homework at the local library and a nearby middle school, and she is a volunteer leader at Sunday Friends. Web development targeted for younger audience eg. how-to content pages for coding, web applications etc. David Ding designed and led the STEM program at EqOpTech in 2016/17. David is a freshman at Northwestern University and has experience with developing and running a beginner's programming club at Santa Rita Elementary School. He firmly believes in the mission of providing under-privileged youth with easy access to technology. David is very passionate about helping children in less fortunate situations to maximize their opportunities and chances of success. Emma Kwan served as the Marketing Manager of EqOpTech in 2016. She attends Los Altos High School. She is a competitive debater for her school, and has been the champion of the SCU Philalethic Invitational for novice Public Forum debate. Emma is also a writer for The Talon, LAHS's newspaper. In her free time, she enjoys painting, reading, and is currently in the process of teaching herself to code. Some of her passions include entrepreneurship, marketing, and visual art. Jane Zhao served as Social Media Manager of EqOpTech in 2016. She is currently a junior at Los Altos High School. She has a great passion for ballet, piano, and photography. During her free time, she loves to take pictures and listen to music. Some of her favorite classes in school are math and English.